You've finished your brand and wanna transfer it to your client? 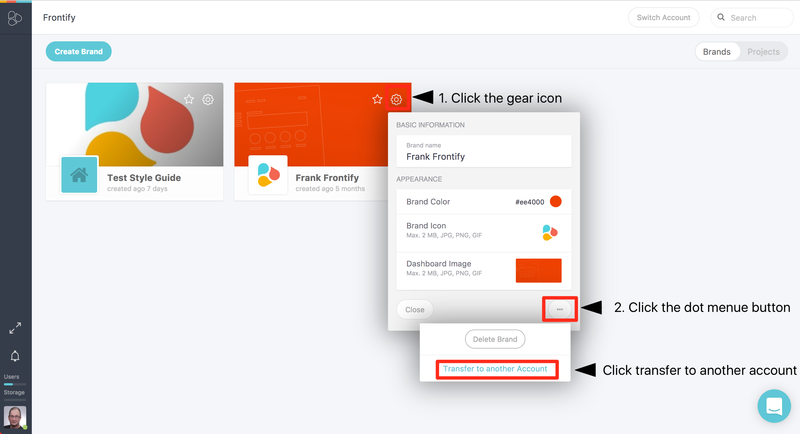 That's so easy and fast within the new Frontify interface. Here is a short how to transfer your fantastic work to your client. Please do the following steps. Click on "Transfer to another Account"
Now choose the right account and confirm the transfer. Please remember: You have to be the creator of the brand to do a transfer. And both (The customer and you) must have a connection through the Brand or Project. That means both must have invited each other in projects or brands for example.